Online markets are the “Wild West” these days, and consumers have no way of knowing if their products are authentic. 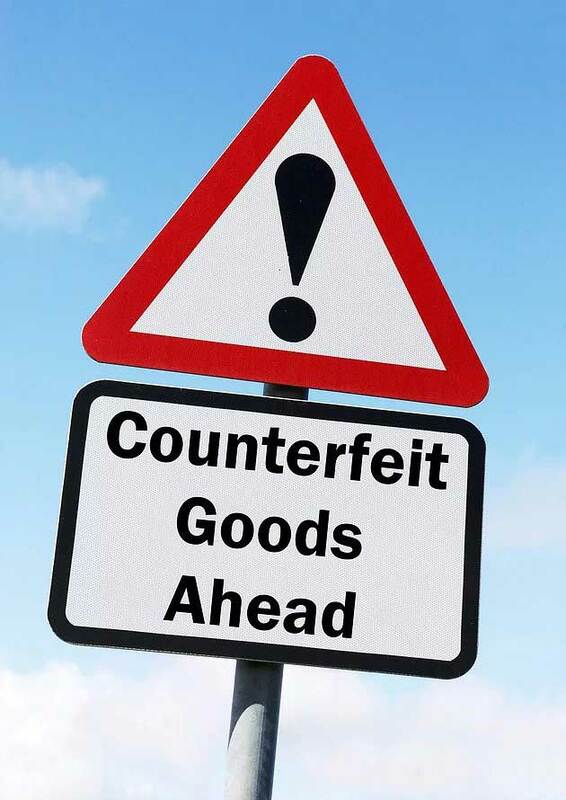 Some of the major online market players are trying to implement programs to assist the consumer, but counterfeit products persistently enter the distribution channel anyway. This leaves the official brand owner and the consumer at risk while the online seller makes the profits. So how can the brand owner provide authentication tools to the consumer to verify their products? First, the brand owner needs to implement their own brand protection solutions, and provide authentication tools to the consumer. This is the only way brand owners can take control of their supply chain. With authentication tools in place, the consumer can return goods back to the online marketer who distributes these elicit products, and directly notify the brand owner. This puts pressure on online marketers to become a part of the solution instead of unwittingly abetting counterfeiters. Some online marketers are trying to implement solutions to stop counterfeited goods from flowing through their distribution channels, but they want to charge for this service, passing the cost of these programs on to the brand owner. The flaw in this approach is that the counterfeiters will also have access to these technology tools. So how secure can it be? Consumers are clamoring for ways to verify that their purchase is authentic. Brand owners publish guidelines on how to spot counterfeits, but this process requires the untrained consumer to inspect the obscure features of a product without an objective verification of their findings. Asking the consumer to implement their own authentication procedure is unrealistic, not to mention error prone. At Covectra, we believe that smartphones are the answer. Consumers are becoming more informed and demand transparency into the source of ingredients, materials, and manufacturing processes. Why not provide them with the same ability as official inspectors, and invite them to authenticate their favorite brand products with undeniable accuracy? But to do this successfully, we must provide a solution that makes authenticating easy yet secure. Holograms are one way to achieve this, but as the design complexity of a hologram increases, so does its cost. Covectra’s StellaGuard™ Security Label is a unique, low cost security solution that uses prism principles to provide a randomized, copy-proof pattern. The StellaGuard solution, in combination with serialized barcodes and a strong brand security marketing program, provides a multilevel security technology. For the authentication process, StellaGuard uses a device that everyone already carries, with no attachments required–their smart phone. This can dramatically assist in protecting protect brand owners and consumers from illicit trade markets. A mobile authentication solution doesn’t only benefit the consumer. This technology also enables brand owners to tell if a product is selling in an unapproved location, or find out which products may be compromised. In addition, an effective authentication solution should cover processing of returns and recalls. At Covectra, we believe authentication solutions must integrate seamlessly into your packaging production line operations, be easy for consumers to use, and provide detailed reports to help brand owners gauge their reach throughout the supply chain. The solution should make consumers feel completely confident, instead of leaving them to wonder if their product is counterfeit. Contact us to learn more about Covectra’s authentication solutions with the smartphone app that takes the mystery out of authentication, strengthens your brand, protects your investment as it travels safely–all the way through the supply chain–and locks in the loyalty of your customers for a measurable ROI. Never miss an update with a subscription to the Covectra newsletter. Professional Services Web Design Company ©2019 Covectra, Inc. All rights reserved.